The northeastern Brazilian state of Pernambuco offers visitors eclectic sights worth remembering. The town of Olinda has one of the best-preserved colonial neighborhoods in Latin America. The resort of Porto de Galinhas, a center of the slave trade until the 19th century, has some of the finest beaches in the country. 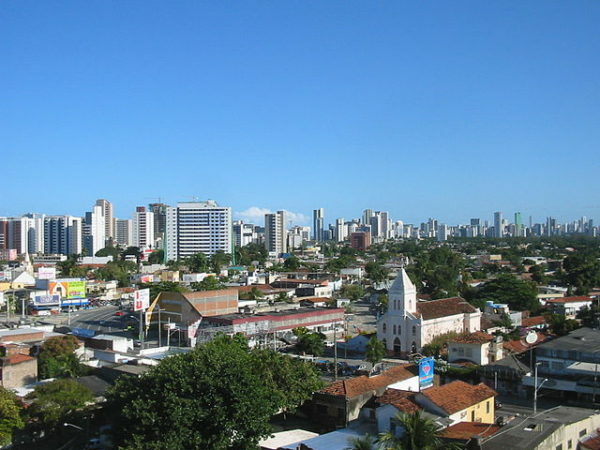 The state capital, Recife, is renowned for its gentrified old quarter. Olinda, six kilometres north of Recife, is aptly named. In Portuguese, it means “Oh, beautiful.” And so it is. 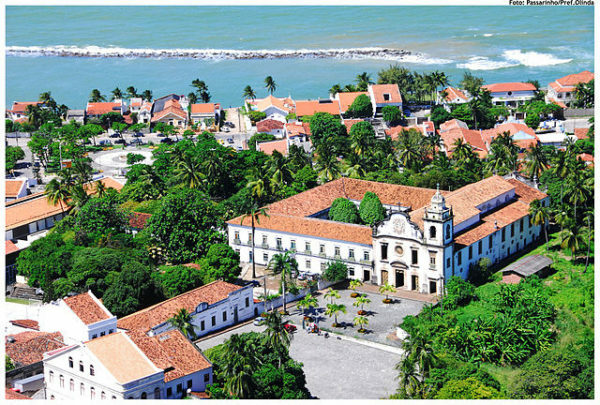 Developed by 16th century sugar planters, it spreads over seven hills, offering panoramic views of red-roofed colonial buildings, winding cobble-stone streets, the modern port of Recife and the blue sweep of the Atlantic Ocean. A city of grand baroque, neo-classical and rococo architectural styles, Olinda was declared a world heritage site by the United Nations in 1982. One of its most impressive buildings, the Sao Bento monastery, was completed in 1582, razed by the Dutch and rebuilt by the Portuguese. Sao Bento’s fate was not unusual. Holland destroyed virtually all the historic buildings here after conquering this corner of Brazil in the 17th century. Apart from its monasteries, churches and chapels, Olinda is noted for its folkloric museums. 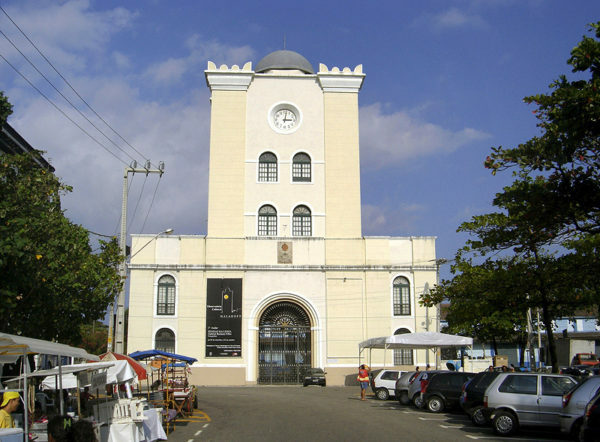 One of them, the Museum do Mamulengo, has a permanent display of exquisitely crafted puppets, some of which are put to use during carnival season in February. Brazilian handicrafts, from jewelry to woodwork, are found nearby at the Mercado da Ribeira, a small square adjacent to a market dating back to the 18th century. Close by is an art gallery specializing in quaint, gritty paintings of the life of working-class Brazilians. 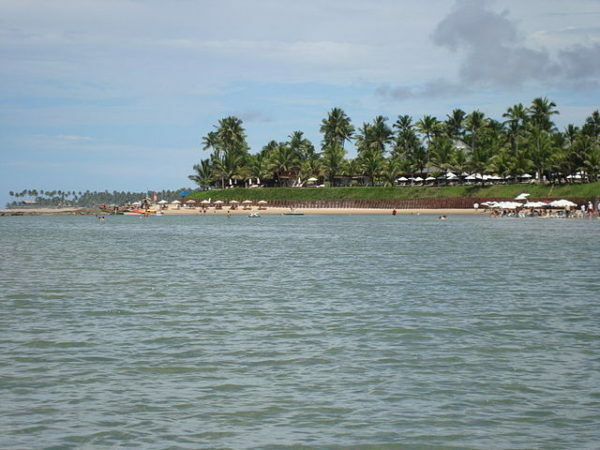 Porto Galinhas, 65 kilometres south of Olinda, is a picturesque resort where a daily natural ritual unfolds. At low tide, the warm waters of the Atlantic recede, exposing an expanse of coral reef speckled with lagoons and pools. No matter how jaded you may be, it’s an astonishing sight. You reach the coral reef, hard and prickly, by boat, a journey that lasts a few minutes. On the reef, which is somewhat slippery and studded with razor-like bristles, you must watch your every step. But the reef also prompts you to step back in wonder. 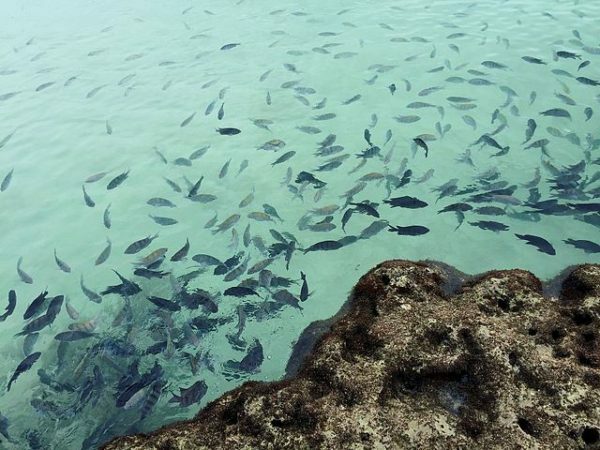 Small pools swarm with brightly colored tropical fish. In the lagoons, bathers, contented expressions on their faces, soak up the brine. After lunch, you head for the beaches, lined with majestic coconut palm trees. The water is bathtub-warm. The foaming waves carry you back to shore like a bobbing cork. 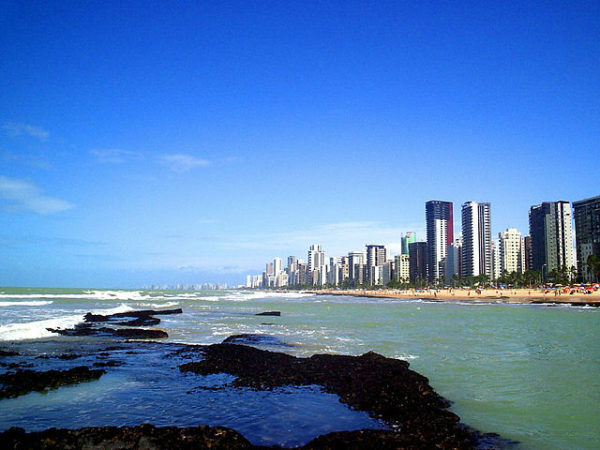 Recife, a city of numerous bridges, is probably best known for its seaside promenade, Boa Viagem, which is ideal for walking, particularly in the morning and the evening. Its sandy beach stretches far into the distance. In Recife’s carefully-refurbished historic district, you can visit the Jewish Museum, which sits on the site of Zur Israel, the first synagogue in the Americas. The synagogue was abandoned by its congregants when the Dutch were ousted from Brazil in 1654. Only the ruins of a ritual bath are left. On weekends, this neighborhood is converted into a lively open air market. Views of old Recife can be seen from an observatory on top of the cream-colored Arab-style Malakoff Tower. The vistas are wonderful.